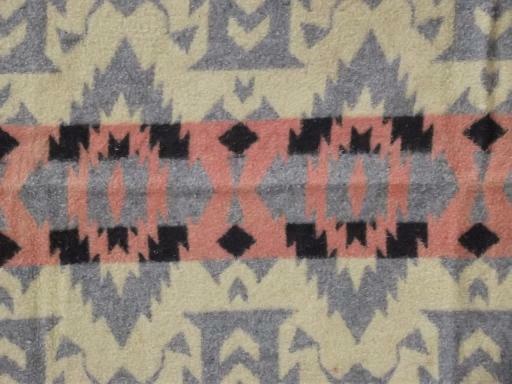 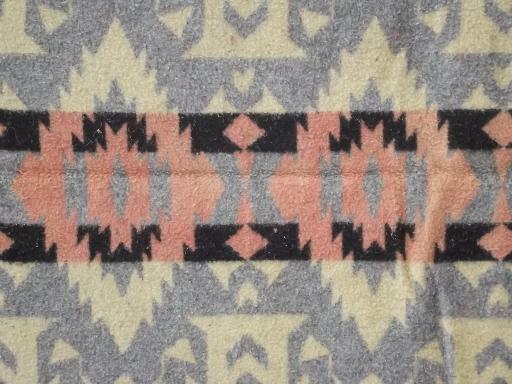 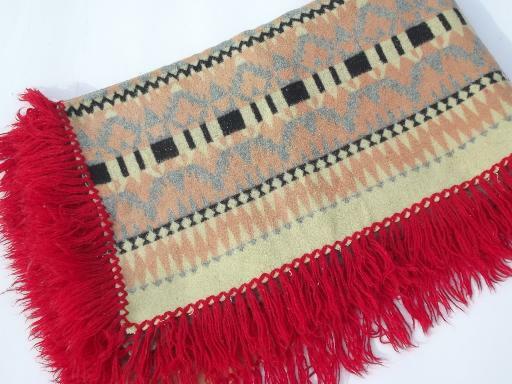 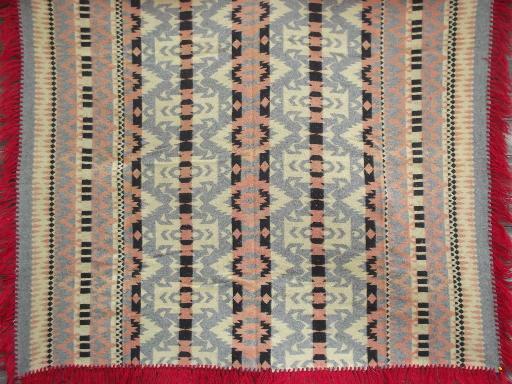 Vintage cotton camp blanket with native American style design, fringed in red wool yarn. 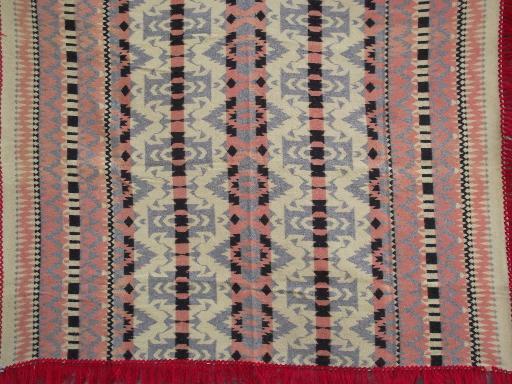 It's about 74" x 60" overall, not including the fringe. 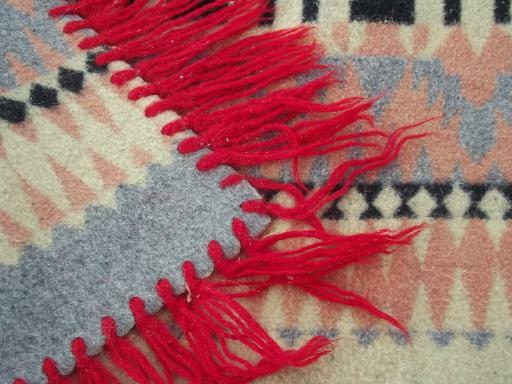 The blanket fabric is soft and thick with very little pilling, no rips or holes. 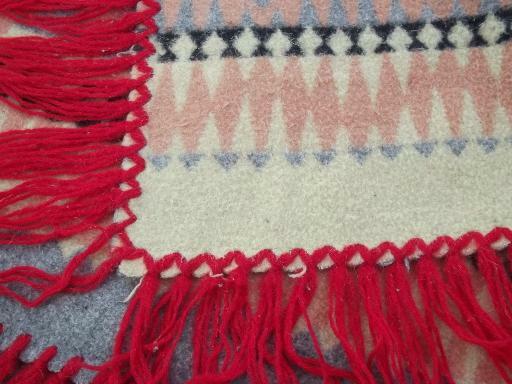 The wooly fringe is a little worn.